One of the finest examples of historic Cape-Dutch houses, is the Tokai Manor at the foot of Constantiaberg, directly below Elephant’s Eye Cave. One New Year’s Eve, young Frederick Eksteen accepted a wager to ride his horse up the steep stair case, into the house. Tragedy followed, and in full view of guests the horse tripped while descending the steps, and both rider and horse fell. The young man broke his neck in the fall. Over the years there have been several reports about the pair frequenting the Manor House. Without any logical explanation, exuberant laughter and the neighing of a horse can be heard from inside the Manor House at night. During the early hours of the morning, forestry workers have heard a horse gallop along the road. The rider reportedly wears clothes from a bygone era and heads straight towards the old house and mounts the steps. For more information click here. 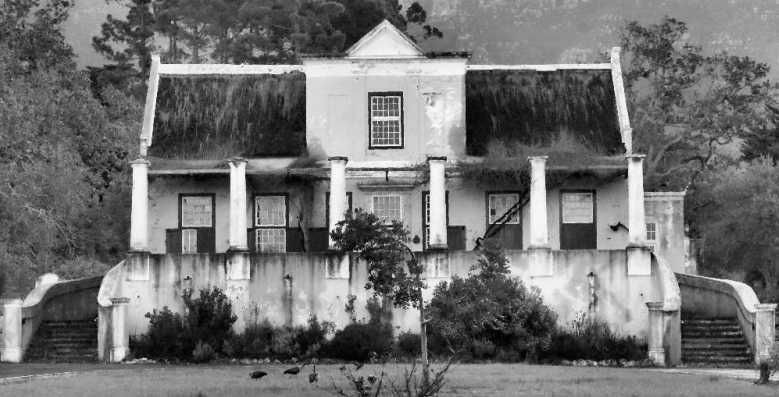 The Tokai Manor House was proclaimed a National Monument on 8 September 1961.